1. Players jog out and on comand they jump into a squat position and hold for few seconds, 5 reps.
2. Players start on one leg and bound onto their opposite leg back onto their original starting leg and stick the landing and hold for 3 seconds 3 sets, 4 Reps on both legs. 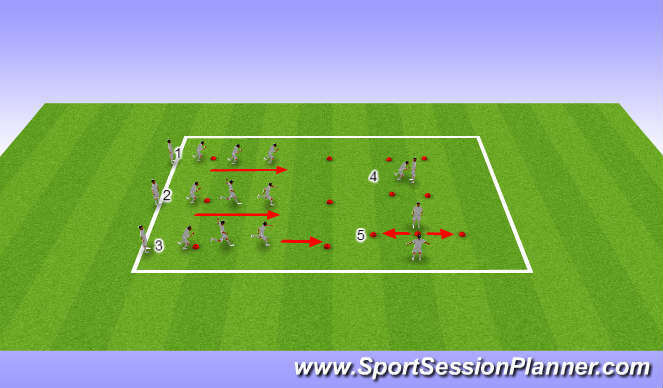 3.The progression from the above exercise is that once players have held for 3 seconds on command players sprint out to the end cone. 4.In pairs player 1 has his hand on player 2&apos;s chest, player 2 has to move laterally, backwards & forwards to try and loose player 1&apos;s hand from his chest. 5. 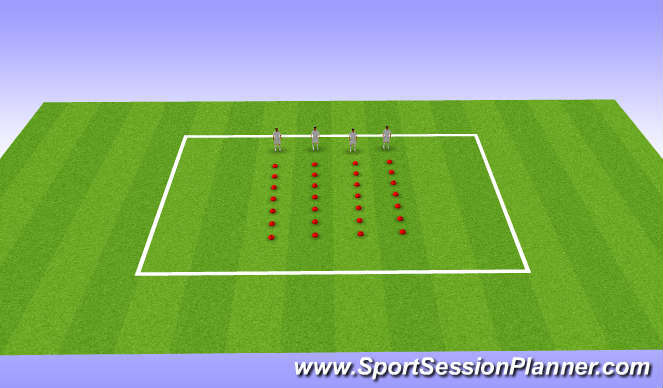 In pairs players start on the middle cone, player 1 has to mirror players 2&apos;s lateral movements.